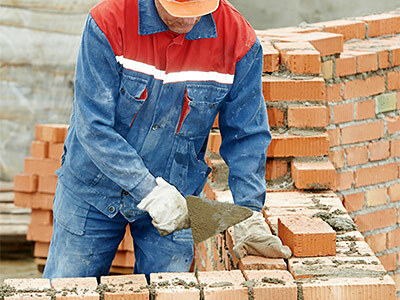 We at Gilgert’s Landscaping handle all aspects of custom masonry installation for commercial and residential properties in select California cities. 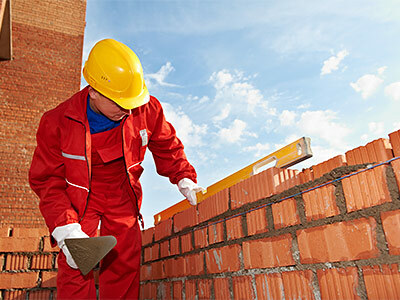 No matter what kind of masonry work it may be, we can surely do it to make your outdoor area or landscape safer, more functional, and more attractive. Whether it involves using poured concrete to build a sturdy gazebo or stone pavers to create stunning pathways and garden features, we can surely perform it with ease and outstanding results. We can also build other types of masonry structures, such as fire features and retaining walls. Call us today for free consultation or estimate, and let us turn your California property into a haven truly worth spending time at. Our people can also translate whatever your design ideas are into functional features by following our systematic masonry installation methods. Aside from sheer skills of our manpower, we also possess the proverbial ‘tools of the trade’ that let us complete small to large projects fast and with positive results. For example, we have concrete mixers for large poured concreting projects (such as custom pools or retaining walls), haulers for large stones or boulders (for garden set ups), compactors for paving (used extensively when creating driveways, patios, or pathways), dump trucks (for delivery of materials or getting rid of debris), and many others. All of these equipment and machinery allow us to capitalize on our manpower’s expertise so we can beautify clients’ landscapes with our masonry installation techniques. We can dramatically improve your landscape’s functionality and aesthetic appeal by creating decorative, sturdy, and usable masonry pieces mentioned above. Our masons and landscape installers are all considered the best at what they do, and they are highly dedicated to render unmatched work quality. We also have a dedicated team of creative designers who can translate into detailed, full-color designs your specific ideas as to how your dream landscape features should be. And then we have the skills of our masonry installation team who can realize such designs and build exceptional pieces of masonry. Budget-wise, our clients can enjoy competitive rates without being short-changed in terms of work quality provided. We likewise have access to first-class masonry supplies from the most trusted names in the industry. These manufacturers have been our partners for years so our clients are assured that only high quality materials are used in their landscapes. With these strengths and qualities, we are confident that our company is your best option for any masonry installation in your property. Call us today and let us help you build landscape features that are not only stunning but also last for decades.